The project contributed to the community development through enhancement of institutional and methodological capacities of community based NGOs and fostered their cooperation with local governmental bodies on the basis of a participative democracy. The institutional and methodological capacities of local NGOs enhanced by organizing training sessions and seminars on fund raising, strategic planning, grant writing and grant management. The role of civil society organizations at regional level increased by promoting the dialogue between the NGOs and local governmental bodies. The parental groups reinforced and encouraged in their participation in policy making processes. 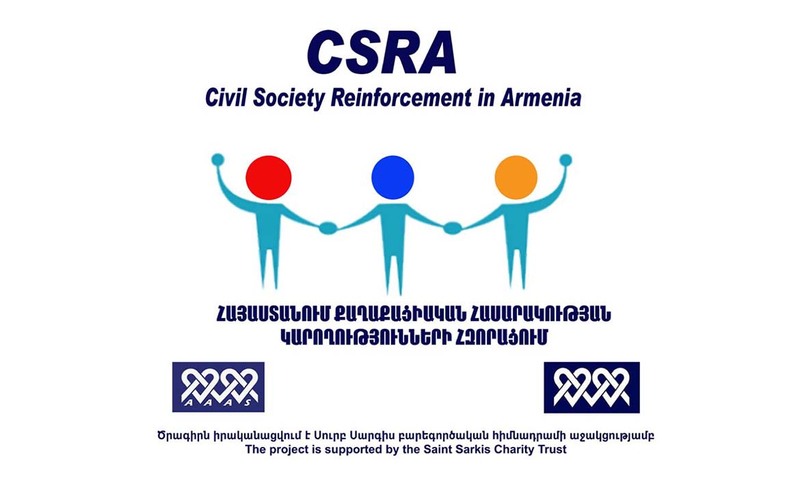 208 CSOs (with 346 representatives), public initiatives, and parental groups from 10 regions and Yerevan increased their institutional capacities.